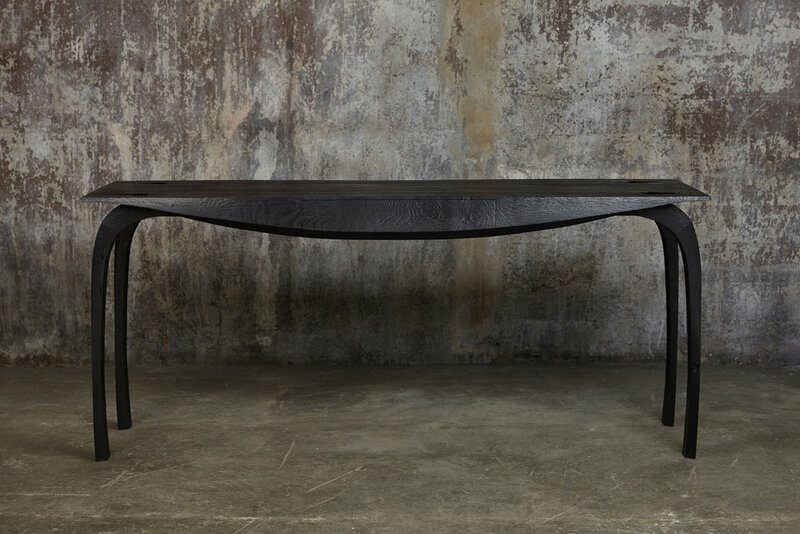 Desk made with ebonized English oak, textured surface and oil finish. Single central drawer with fully extendable soft close runners. The desk can be made to different sizes, finish and timber. Initialled ‘JF’ on the underside, consecutive making number 223. Number one of an edition of three.